November 29, 1971: Traded by the Oakland Athletics to the Chicago Cubs for Ken Holtzman. 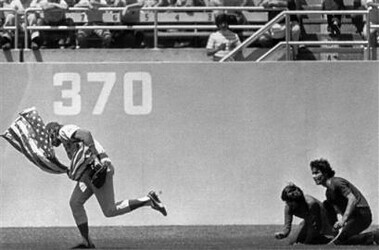 Rick Monday hits 3 Home runs vs the Philadelphia Phillies in a 8-1 win. at various events showing the very flag he saved and talking about this incident.